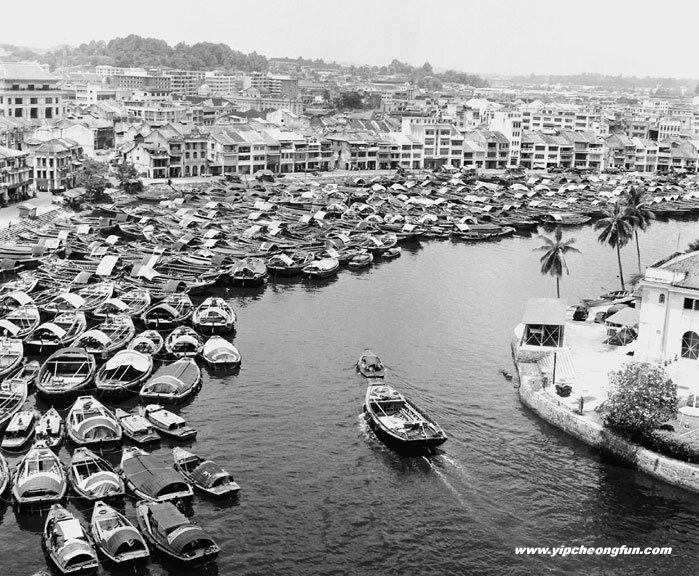 Singapore, already a trading hub before LKY was ever born. “Please, please, Singapore is not 50 years old this year. We were born when Raffles founded us in 1819, that after Sang Nila Utama discovered the island in the 13th Century and called it Singapura. Do your maths. “I think sympathy is hard to find for a man who once described Singaporeans as similar to “dogs”, in training to be docile and law-abiding. 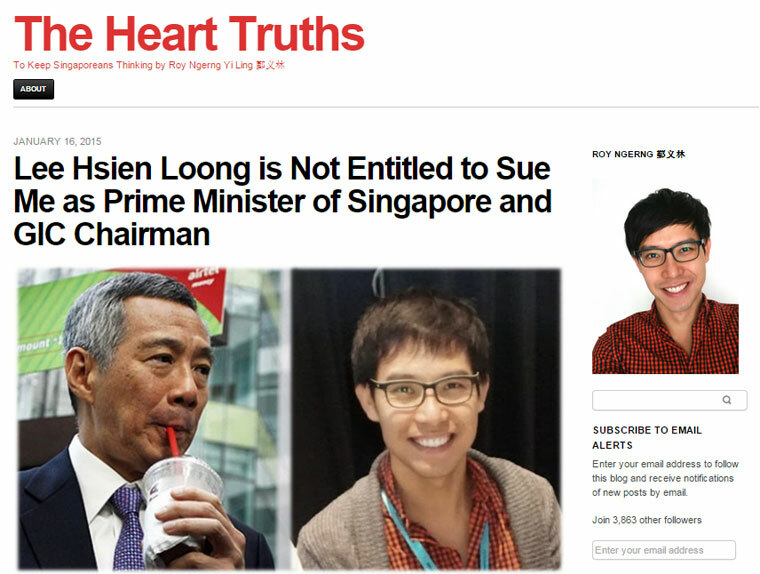 He has insulted Singaporeans on many turns, of being daft, transgressing religion, especially Muslims with his remarks on Islam and his assault on the so called “Marxist” Catholics which have never been proven to be in the court of law. He polarised our different races by segregating certain vocations in the military, often claiming national security when there had been no threat of such. Dividing and conquering. 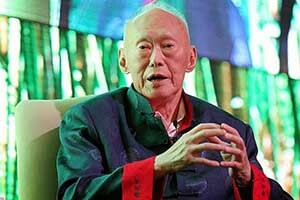 This is also the man responsible for keeping his political opponents in detention for periods longer than Nelson Mandela simply because they do not hold similar views as him and were conveniently accused as ‘Communists’, subjecting innocents to torture and the hopelessness of indefinite detention, a man who once denounced the democracy process in Singapore before attaining power, yet push into totalitarian rule once in power. Despite his “achievements” which in part was a team effort involving the Old Guard ministers and a certain Albert Winsemius, I find it hard to sympathise in his eventual passing. He lugs around a rucksack full of sins, which he never atoned nor apologised for, a violent man who uses analogies like “meeting his opponents with a hatchet at the cul-de-sac” and similar violent, strong language on his political opponents. All kinds of vote-stealing techniques were seen the past one-two months alone. Intimidation (thru Roy, Ravi, TRS, etc. ), sickness (LHL’s hospitalisation, LKY’s ventilation), and finally fake goodies (Pioneer Generation card, ‘Robin-Hood’ Budget). But that’s about it lah. SG50 nostalgia: Who made us lose our heritage? 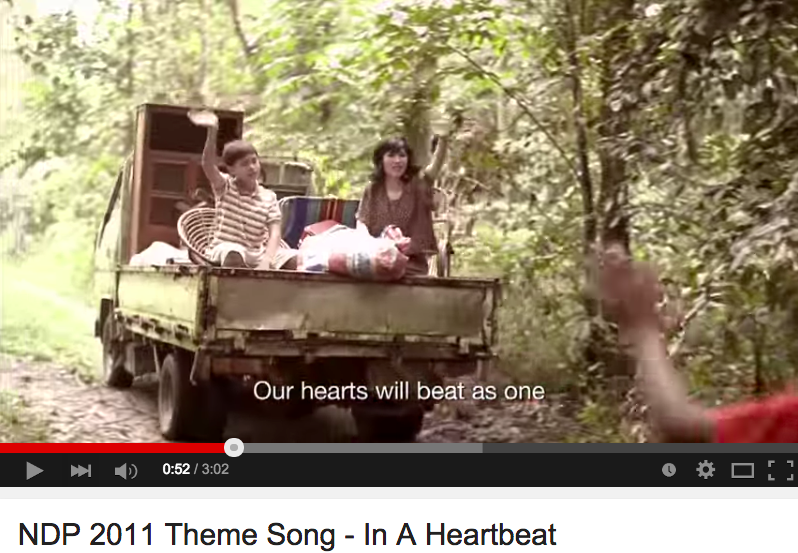 A screenshot of the 2011 NDP Theme Song, incorporating elements of old kampung life. The SG50 campaign, with its reminders of nostalgic moments of better times bygone, have only managed to fix my inclinations – and I believe many more people’s inclination – towards voting for those that have a higher chance of bringing those moments back – like the WP and the SDP. And we are doing this while cursing at the PAP for putting up this grand, big wayang, trying to gain credit for what they have taken away from us – happiness, history and humanity – for printing ugly stickers and saying goosebumps-intriguing fake words. God knows why they want to engage in this PR disaster campaign. Maybe some clever ‘pioneers’ have advised them ‘wrongly’. What kind of ‘Pioneer Generation’ do we want to emulate? A scene in a Ch 8 drama series. Channel 8 belongs to MediaCorp, the state television station. So my question is, learn what? Learn from whom? Do they really know what they are talking about, when they blabber out such stuff? Are they referring to ‘pioneers’ like Lee Kuan Yew who ruthlessly removed all opponents and created a repressive nanny state? Or people like Lim Chin Siong who fought all the way but lost to a tyrant. Who and what are they talking about? 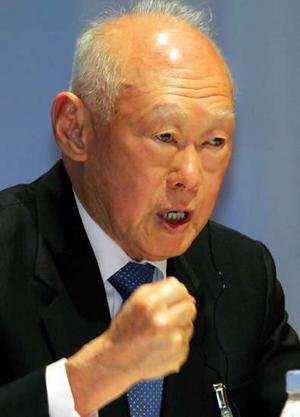 (TRE) Former prime minister of Singapore and the father of current prime minister Lee Hsien Loong, Lee Kuan Yew, has been hospitalised for severe pneumonia. However, PMO said today (21 Feb) that his condition has since stabilised. Mr Lee, 91, was admitted to SGH on 5 Feb two weeks ago, for severe pneumonia. “His condition has stabilised and he remains on mechanical ventilation in the ICU. He is conscious and lightly sedated,” the PMO said. Mechanical ventilation is a method to mechanically assist or replace spontaneous breathing for a patient. This usually involves a machine called a ventilator to support the patient in breathing. Mechanical ventilation is termed “invasive” if it involves any instrument penetrating through the mouth (such as an endotracheal tube) or the skin (such as a tracheostomy tube). There are two main modes of mechanical ventilation within the two divisions: positive pressure ventilation, where air (or another gas mix) is pushed into the trachea, and negative pressure ventilation, where air is, in essence, sucked into the lungs. During Chinese New Year last year, Mr Lee was hospitalised for an infection, fever and cough. And in 2013, he was admitted to hospital for a suspected Transient Ischaemic Attack, an episode where irregular heartbeat leads to a brief stoppage of blood flow to the brain. My friend, who lives in Sydney, had a medical condition and needed to be attended by several doctors. The government scheme paid for most of the cost of treatment. However, he found that the doctors abused the system by over-servicing the patients. When he wanted to visit his elderly mother in Singapore during the Lunar New Year, his doctors advised him not to go away for too long. They fix all kinds of appointments for him to see them regularly. My friend found that it was not necessary. The doctors made a lot of money by billing the government for the treatment. The Australian government has found the providing health care is too costly and is taking steps to control the charges of the doctors. In Singapore, the government pushes the cost to the patients. This does not solve the problem. The patients are ignorant of what is or is not needed. Many families paid for the high cost. Some have been bankrupted. Although there is abuse, the Australian system allows the abuse to be addressed at the right level, i.e. by the government. They have the resources and know-how to managed the abuse. They are now discussing how to set caps to the billings by the doctors. We should address issues by tackling the root cause. The approach adopted in Singapore is to push the problem to somebody else, i.e. the public. It is a wrong approach.